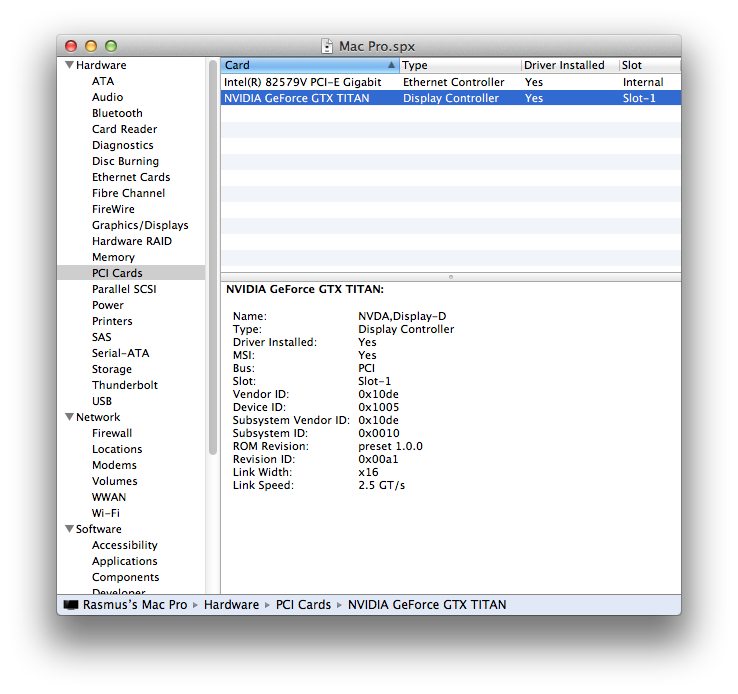 To enable the card a clean install of Mac OS X 10.8.3 was performed using another graphics card. 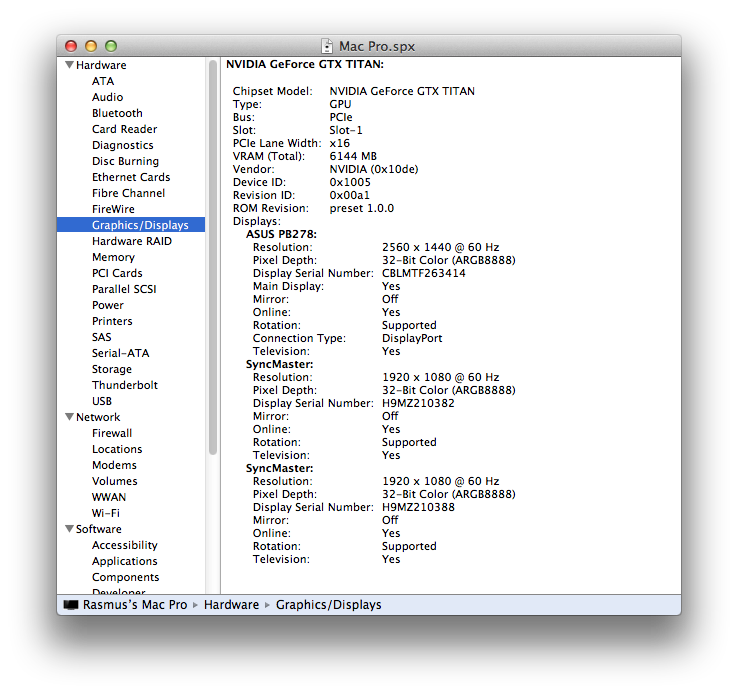 Then the 10.8.4 Combo Update was installed as was CUDA from Nvidia. After verifying the system booted after the updated was applied the Nvidia GTX Titan card was installed. Then proceeded with booting with the card installed. 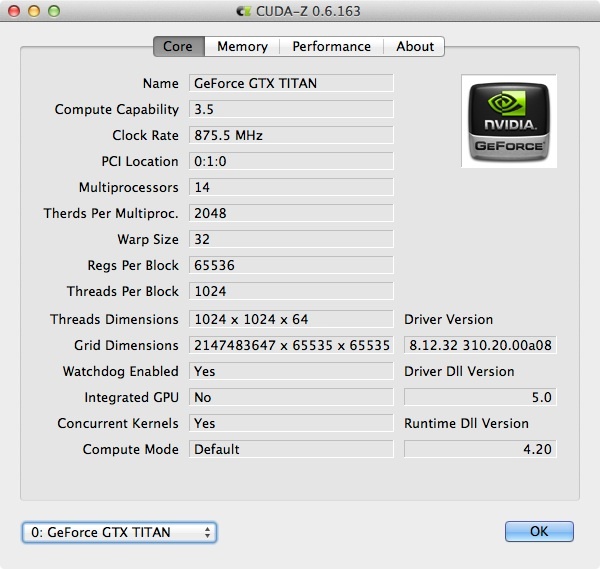 Under Mac OS X 10.8.4 the Nvidia GTX Titan worked perfectly and supports up to 4 monitors. Below you can see that on are testing system we used 3 monitors. After installing CUDA from Nvidia we were able to obtain full CUDA support in CUDA supported applications. Next we attempted to benchmark OpenCL but were unable to due the the applications crashing. 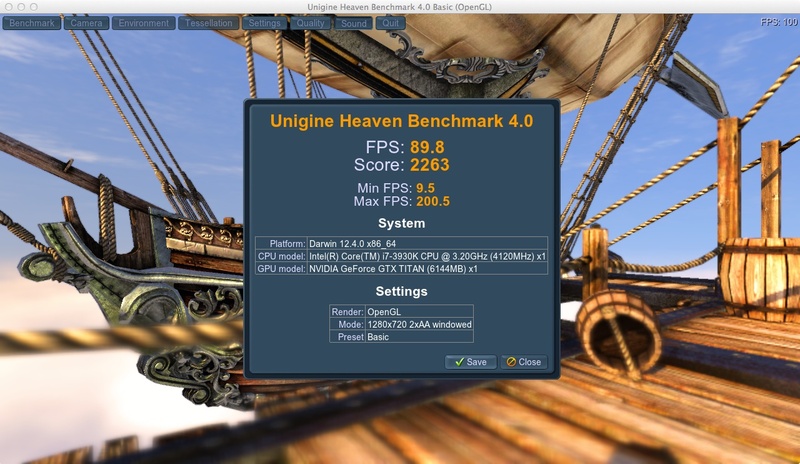 However OpenCL games and applications were working properly on the testing system.